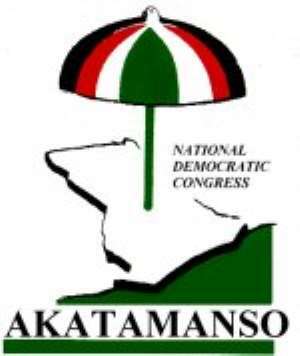 Credible information reaching the paper has revealed how US $100 million was paid into a secret account in London during the era of the National Democratic Congress (NDC). The US $100 million with current values of over ¢900 billion was transferred in 1993. As per an agreement signed in August 1993, the NDC Government took a loan of US $100 million from Lonrho PLC. The then Minister for Finance and Economic Planning, Dr Kwesi Botchwey, signed for Ghana whilst the Joint Chief Executive Officers of Lonrho PLC, Messrs R. Rowland and Dieter Book, signed for Lonrho PLC. This US $100 million was paid into an unknown account in London, not into the Consolidated Fund in Ghana. What is even more serious is that the US $100 million was not placed before Parliament for consideration and approval. The absence of a parliamentary approval raises doubts about the legality of the loan. What is eve shocking is that an mount of over US $101.59 million was transferred to the Bank of New York in favour of Lonrho PLC on March 5, 1993. Analysts believe if the original loan was illegal, then the transfer was illegal and should be refunded. Meanwhile, into whose account was the US $100 million paid into in 1993, the paper questions.